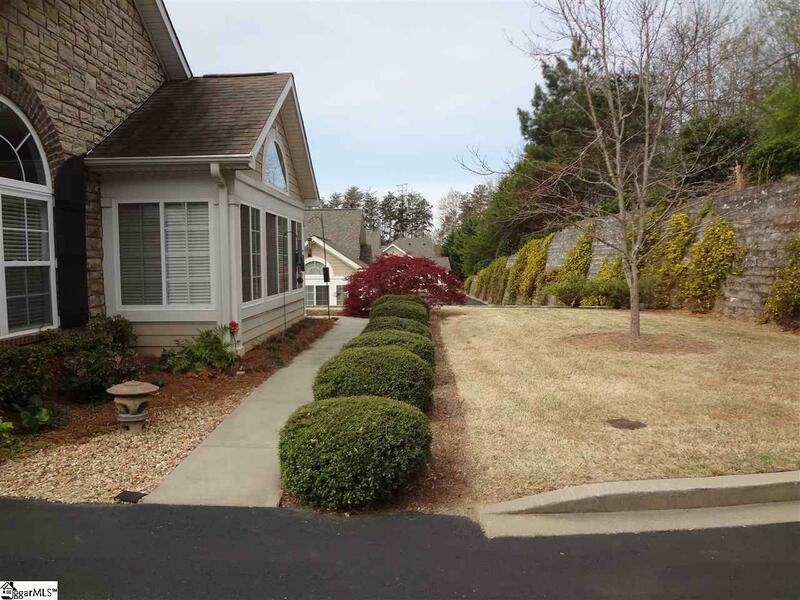 Located across from the Furman Golf Course, this active condominium community is perfectly located with shopping so close and Furman University just across the street. 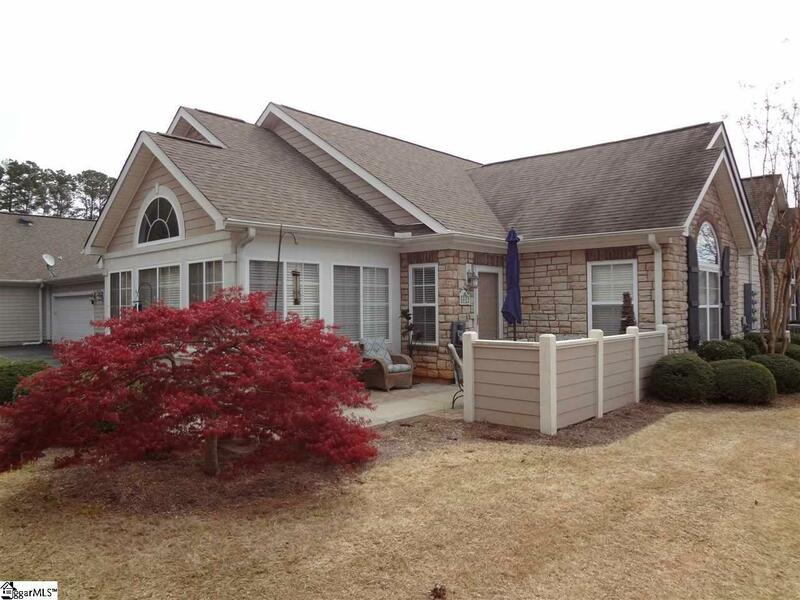 This unit is one of the most private settings in Camellia Village. 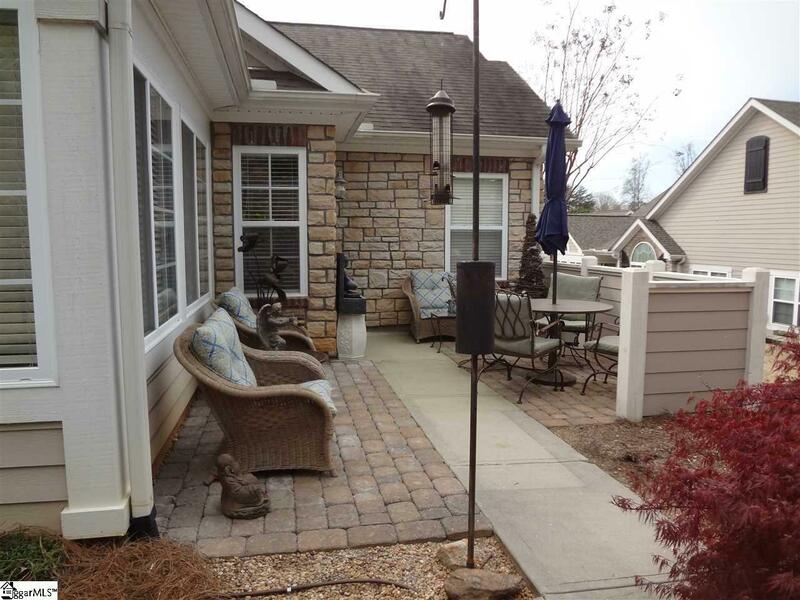 The new brick outdoor patio area offers more great socializing space. Impeccable condition, freshly painted and all light fixtures have been replaced. Having two master suites, both with double vanities, the Abbey floor plan is ideal for those looking for vaulted ceilings, open kitchen, sun room, split bedrooms all on one floor. Only two rooms have flat ceilings as the rest are all vaulted providing lots of bright cubic footage. 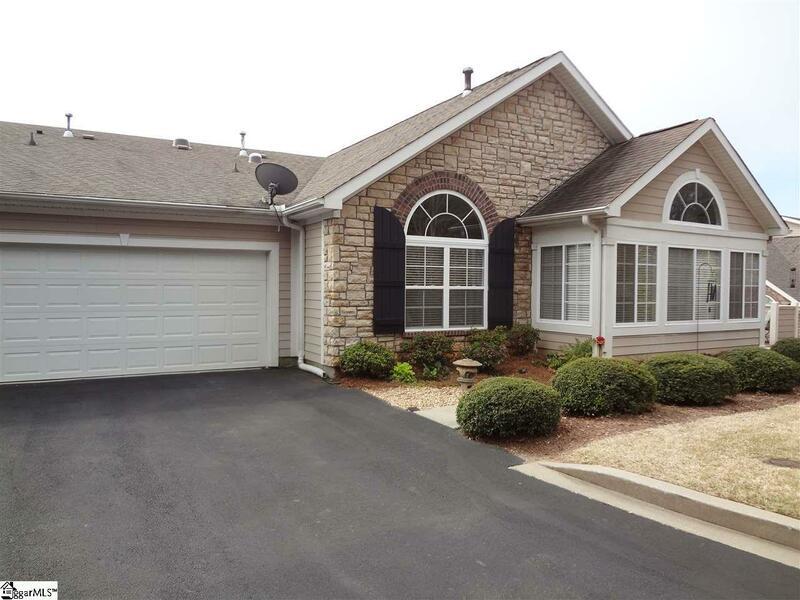 The kitchen is equipped with a breakfast bar and stainless steel Frigidaire appliances and 12" ceramic tile floors. Floors in the great room and dining area are Bruce Hardwood (Gunstock). Granite counters in one master bath and laundry room. The community clubhouse is great for large gatherings, potlucks, card nights, etc. It has a fitness center and a small library. Many residents here take advantage of Furman University's "Olli" Program offering continuing education and activities.